The grim outlook from the IMF is in sequence with cascading warnings from France and Germany that unless fiscal policy in the Eurozone becomes “harmonized” (e.g. more erosion of national sovereignty) and other countries outside the Eurozone (especially China) provide funding for the “big bazooka” to backstop the danger of sovereigns becoming insolvent, the global economy will implode. What the IMF and the politicians have not said is that it is politically impossible for them to obtain all the scenarios they claim are needed to prevent outright catastrophe. Officer Larry of the NYPD is on his way to Zuccotti Park in lower Manhattan to arrest peaceful protesters involved with the Occupy Wall Street movement. Being a public spirited member of the New York Police Department, Officer Larry does remind us that there is a global economic crisis underway that rivals the Great Depression of the 1930s. The global economic crisis that erupted in 2008, and was supposedly “cured” by the massive public debts incurred by the policymakers, is apparently evolving into a terminal tailspin. 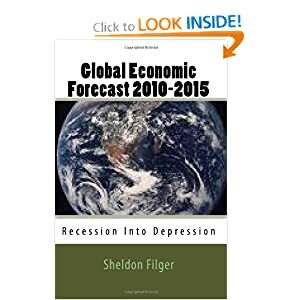 A growing number of reputable economists, including Nouriel Roubini, are frankly stating that advanced economies, in particular the United States, the Eurozone countries and the United Kingdom, have entered a double-dip recession. 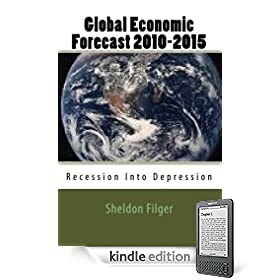 The economic outlook is so bleak that even establishment institutions such as the International Monetary Fund, and to a lesser extent the U.S. Federal Reserve, are candidly acknowledging the dire state of the global economy and the precariousness of its financial architecture. Fed Chairman Ben Bernanke was forced prematurely to hint at some level of policy intervention; the result, the so-called “Operation Twist,” a macabre arrangement whereby the Federal Reserve’s short-term purchases of U.S. Treasuries are swapped for long-term government debt instruments. The resulting plunge in equity values demonstrates that the market is no longer easily fooled by Bernanke and his clowns. In a starkly candid statement, the new managing director of the IMF said that the world’s economy was entering a “dangerous place.” Given that the leaders of major global economic bodies do not seek to erode market confidence during turbulent economic times, it must be surmised that Christine Lagarde would not have issued such a pronouncement as the leader of the IMF unless the data she is privy to shows that things are actually much worse than what is being publicly discussed. 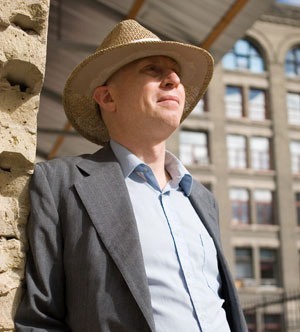 Will my prediction of economic catastrophe in 2012 hold true? Based on current developments and increasingly grim talk by economists and policymakers such as the IMF’s managing director, I think the chances that I am wrong are weaker than the likelihood that my forecast is correct. IMF in Turmoil; Who Will Replace Dominique Strauss-Kahn? The International Monetary Fund, as predicted in a recent post, will need to find a new managing director, following the arrest and indictment of Dominique Strauss-Kahn over allegations of sexual assault involving a maid at a Manhattan hotel. With Europe engulfed in a full-blown sovereign debt crisis, and the IMF viewed increasingly as the lender of last resort for the insolvent PIGGS nations on the periphery of the European monetary union, a vacancy at the top of the International Monetary Fund adds further to already elevated levels of market uncertainty. Among the names being floated for new head of the IMF is the finance minister of France, Christine Lagarde. Her name has been surfaced by a strong faction within the IMF which believes its head must remain a European, just as the leader of the World Bank is traditionally an American. In any event, whoever is the new leader of the IMF, he or she will head a pivotal backstop to the unraveling of the global financial system and economy that has been severely weakened and tarnished by a scandal that is an allegory for all the ills of the current global economic system.